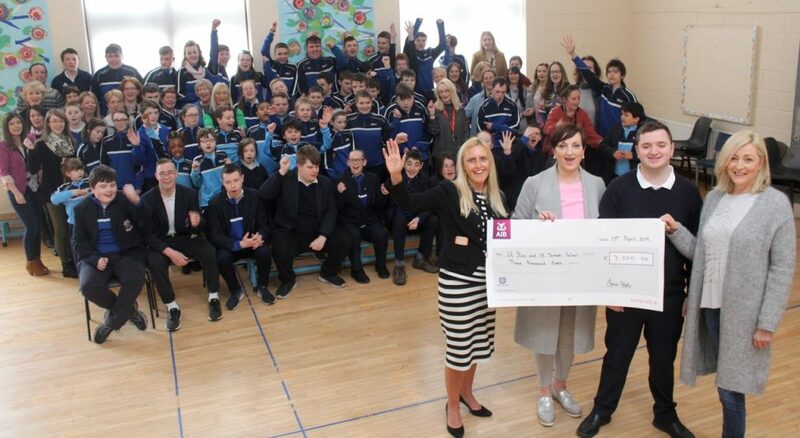 A LOCAL school received a cheque for €3,000 on Friday thanks to a fashion show back in October. Fiona Hyde, whose son Dylan attends St Ita’s and St Joseph’s School in Caherslee for the past five years, helped organise the annual fundraiser in Sol y Sombra and around €9,500 was raised altogether on a sellout night of fun in the mid-Kerry town. A cheque for €3,000 was presented to the school on Friday with all the student body present, while the rest of the funds will go to other causes. “We really appreciate the efforts of Fiona and the organising committee. The money will go towards a range of facilities at the school,” said Grace Sheehan, Principal at St Ita’s and St Joseph’s.